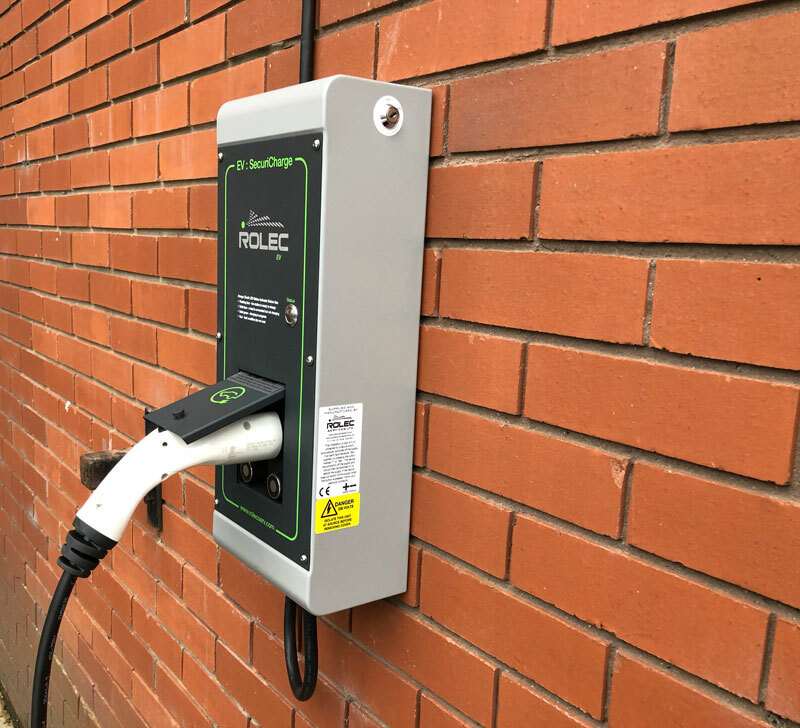 We were looking for an affordable 22kW charger for work that had a lockable socket and a vandal-resistant construction. 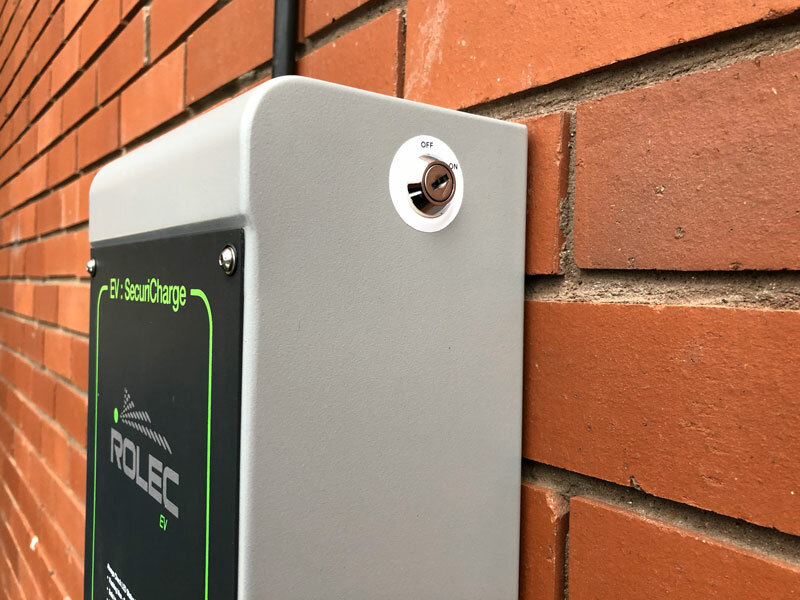 The SecuriCharge: EV Wall Unit is a robust, heavy duty, hard wearing, vandal resistant EV charging unit specifically designed and manufactured for public facing and exposed locations. This versatile unit charges via its Type 2 Mode 3 charging socket(s), which are securely locked away when not in use. 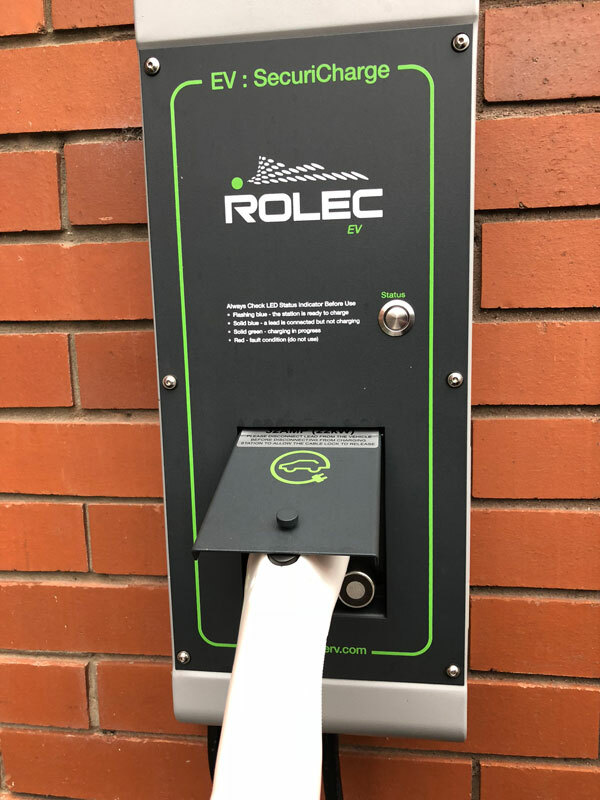 Ideal locations include hotels, car parks, offices, factories, warehouses, restaurants, stadiums, leisure centres and retail and commercial premises. 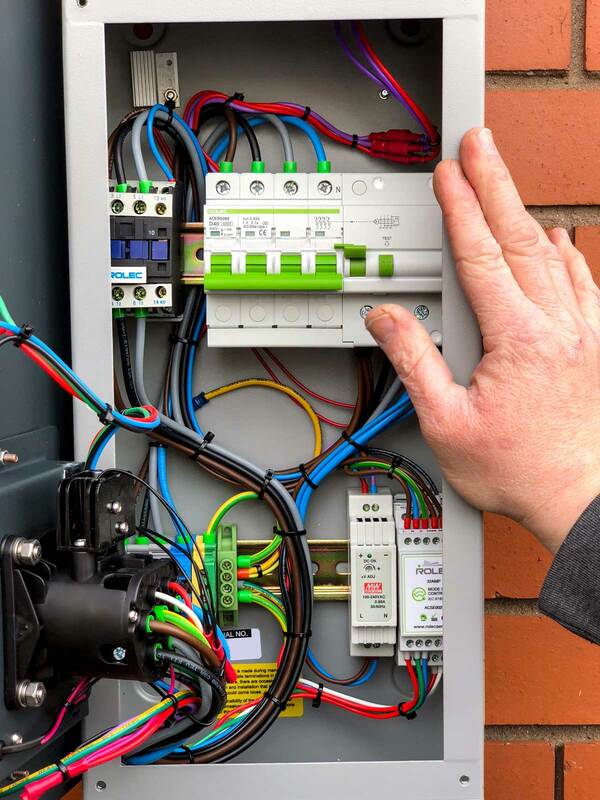 It’s available in 6 different configurations, including the 3-phase version we required, so we ordered up the EVSC0040 model at around £500 + vat. 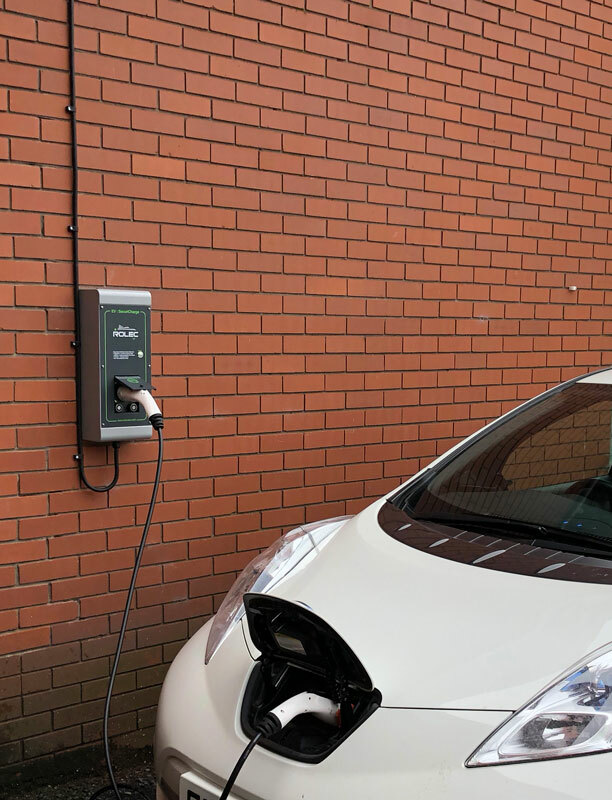 After the Work Place Charger Grant fiasco from last year we decided fund the install ourselves and used our regular electrical contractor to do the work. 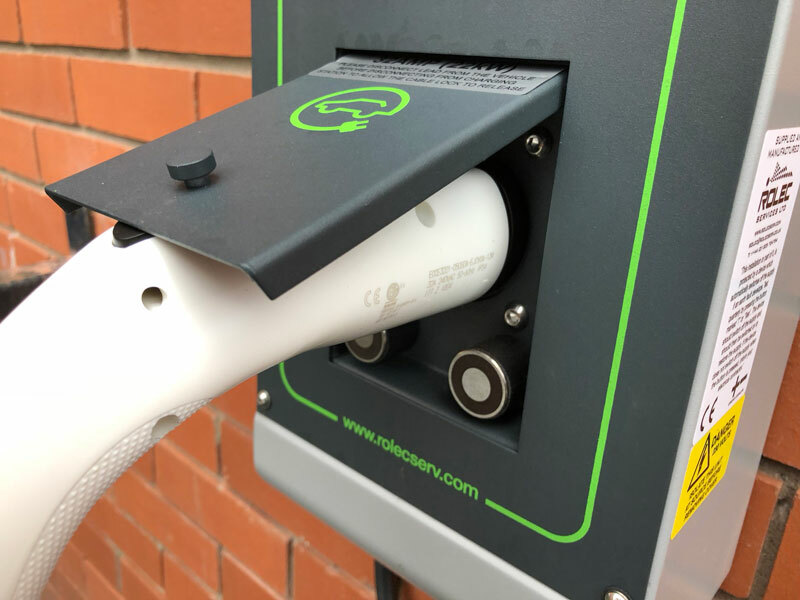 The unit has a key on the side to turn it off and on and this action also controls the magnet that holds the charging flap shut. There’s a potentiameter inside to control the strength of the magnetic lock. 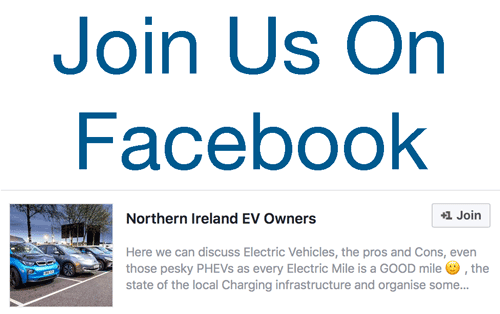 Running a Leaf equipped with a lowly 3.3kW on-board charger means we can’t take advantage of all that 22kW goodness yet, but it’s good to know we have the potential for the future. 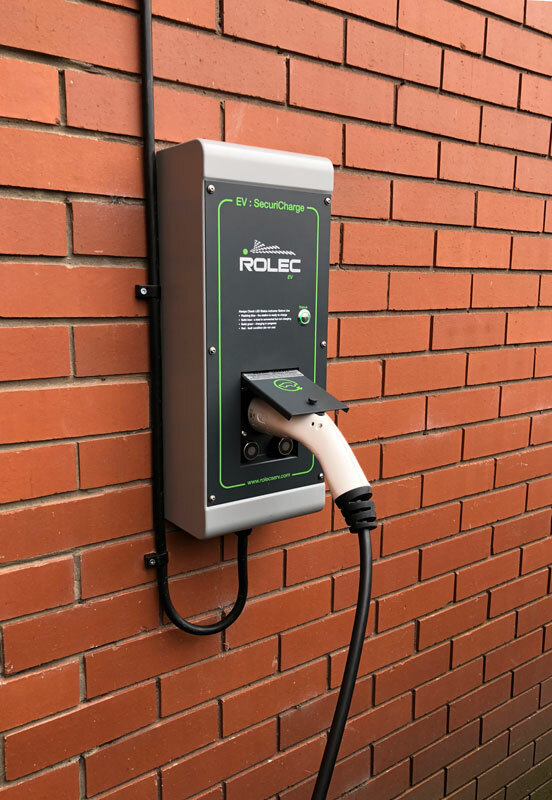 Be the first to comment on "Review: Rolec SecuriCharge 22kW EV Wall Charger"